Aug. 21, 2018, 10:15 a.m.
Plus: A wave of new releases for the fall, an up-and-down week for My Favorite Murder, and SB Nation goes big on local sports podcasts. By Nicholas Quah Aug. 21, 2018, 10:15 a.m. Welcome to Hot Pod, a newsletter about podcasts. This is issue 174, published August 21, 2018. The merger between PRI and PRX, announced Wednesday, is a big eye-catching development that, in theory, would combine the organizations’ respective expertise in linear broadcasting and on-demand audio into a new public media organization that’s better able to take on the American palate and media industry in 2018. The question, of course, is whether and how the two pieces will fit together neatly, and in a way that creates something more than the sum of its parts. I’m tempted to say that the merger brings meaningful change to the national-level public radio landscape. But that would be an overstatement for now. The Wall Street Journal set the context as follows: “PRX and PRI are two of the nation’s four national distributors of programming for public-radio stations and the first to combine operations. The other networks, National Public Radio and American Public Media, are much larger.” And significantly so: In 2017, NPR’s operating revenues were over $232 million and APM’s operating revenues were $168 million, according to data collected by the Pew Research Center. PRI brought in $18 million, while PRX brought in $8.5 million in the 2016 fiscal year, as dug up by Current’s Tyler Falk. That Wall Street Journal writeup also reported that gross revenue for the combined entity is estimated to be about $38 million in its first year. PRI has been operationally troublesome for a number of years now. The organization’s revenue decreased 17 percent in 2017 — its lowest point in the past decade, per Current — and it continues to face operating deficits. In contrast, PRX has had an expansionary run: Its revenues grew 75 percent between its 2014 and 2016 fiscal years, pushed forward by its Radiotopia podcast network, a growing list of ad sales clients, and a technology play in the form of Dovetail, which supports shows like This American Life and Serial. Both organizations may benefit from complementary components one previously did not have, but this merger puts PRX’s vision of the industry fully in the driver’s seat. With all this in mind, then, here’s my read: a rising PRX, now armed with significant new assets and multiplatform capacities from PRI, in better position to compete with NPR and APM. PRX’s Hoffman will serve as the combined entity’s new chief executive. PRI’s Miller will serve as executive chair of the new organization’s board of directors during its first year. No money will change hands in the merger, though WGBH, which acquired PRI in 2012, is committing $10 million to the new organization. Those new funds will go towards new content development, enhancements of existing programming, the creation of a production studio, and the expansion of PRX’s Podcast Garage initiatives, according to the press release. The release also claims that the combined entity will reach over 28.5 million listeners each month across broadcast and web. It will also have a combined 58.5 million monthly podcast downloads. I spoke to Hoffman and Miller separately last week, a few days after they announced the merger. Here are a few key takeaways from our conversations, which I’ve broken out into sections. Their responses have been edited and condensed, obviously. Miller: One way to look at this is that we’re melding PRI’s considerable audio production, journalism capabilities — we literally create hundreds of hours of audio programming of various forms each week — and significant reach across platforms, inclusive of broadcast and large social followings, together with PRX’s considerable distribution and technology prowess, along with their commitment to new voices. One of the reasons this works so well is because of the question at the core of both company’s DNA: How can we create vitality within the public media system? Hoffman: I was talking to one of our stakeholders the other day, and we hit on a metaphor I liked: we’re kind of like siblings born a generation apart. PRI was born during a creative moment in broadcasting — they were early champions of This American Life and Marketplace — and we, obviously, were born during the early days of Web 2.0 and podcasting. PRI has two amazing daily shows. The Takeaway is a show that has so successfully transformed itself from a very difficult period, and The World is such a unique production. Both bring something very new to PRX, and when we’re in a position to combine two great daily shows with something like Reveal…well, that’s just interesting, because it’s an opportunity to give some of these journalistic efforts more shelf life. What I also like about this merger is how it helps us double down on services that stations need. We can be better at giving training. We can build more partnerships around things like the Podcast Garage. We also have Dovetail and other podcast technology that we can use to be better at helping solve station problems. II. Does the merger lead to better competition with NPR and APM? Miller: We’re not looking at this as a directly competitive move. Public media is such a broad sphere — this is about serving our collective mission, and I hope it creates even more potential for collaboration with others within the public radio system. The world is an abundant place. People everywhere are craving public media as well as incredible storytelling that happens across platforms, whether they recognize it as public media or not. III. How does the combined entity square broadcasting with on-demand? Miller: A lot of the coverage [of the merger] focused on podcasting…which I completely understand, of course. It’s awesome, it’s growing, and that focus is absolutely accurate in some ways. But I would also say that broadcast, still, is very important, because it reaches millions and millions of people. Streaming audio, as well. And so it really is a “both” thing. It’s broadcast, it’s podcast, it’s the broader web, it’s social, and it’s also live and in person — people seeing other people. We’re all about producers finding their most engaged audiences, wherever they are. Hoffman: It’s very hard to make an apples-to-apples comparison. Just because everybody is in the same industry doesn’t mean we all contribute in the exact same way. I think it’s a false dichotomy to separate broadcast and podcast, even though I understand it intellectually. What I’m intrigued by, instead, is how we redefine what “having a show” means moving forward; a “show” vis-à-vis a “franchise.” The broadcast audience is huge. The digital audience is also huge. But we access them in such limited, specific ways — they’re not comparable. The Reveal team, I think, explores this really well. They’ve won Emmys, they’ve had an Oscar nomination, they’re doing amazing stuff on the radio, and they have a strong podcast. We have to start thinking more broadly around this notion of content — and I’m not saying anything revolutionary here — but I believe this merger gives us the opportunity to make good on expanding that notion. IV. On priorities over the next few years. Hoffman: The short term is pretty obvious: a lot of staff getting-to-know-yous, et cetera, and we’ll be doing an audit around what we have and what’s working. Because PRX has been small for a while now, we’ve developed strong habits around constant evaluation — what are we investing in? what do we sunset? — and so this gives us an opportunity to keep doing that in a different way. I’m excited to work on a number of things: hiring strong talent, thinking through existing partner co-productions, developing more of those. The Garage initiative has been really successful. The one in Boston has taught us a lot about what creators need. The D.C. garage is set to open sometime late 2018, early 2019. That’s a real priority, and we’re going to continue evaluating other cities. But we’ve got to prototype these things — work out the kinks, make sure the program is there. We also really need to work on the skills gap. If we don’t close that gap, it’s going to keep many women and people of color from feeling like they can be successful in on-demand audio. This initiative needs to be doubled-down upon. That’s why we did Project Catapult, that’s why we’re doing so many workshops at the garage. This is an area where we feel like we can have an impact, because that’s growing the field. Podcasting can only mature if it is less “boutique-y” — if there is training and job paths that are meaningful. Miller: As the organizations come together, we’ll be looking at assessing the new organization’s needs. We haven’t made any decisions as it relates to that. It’s Day 1. But fundamentally, this is about growth and evolution. There are more needs and more opportunities than we can both satisfy alone as healthy, sound organizations. How can we come together and do even more? Hoffman: The way I see it: Mergers are naturally bumpy. Everybody’s job is changing, including mine. And there are categories of change: Some people will report to different people, some people may have their jobs shift to different cities than the one they live in. We really have to make sure that we have the right person for the right job. VI. On the new entity’s name and branding. Hoffman: Oh, I’ve seen the Twitter jokes. The thing about brands in the world we live now…you know, a “brand” is such a nuanced thing. It’s not like one brand works well all the time. The PRX brand is really important for when we go out and talk to funders for things like Project Catapult. In some scenarios, you want the Radiotopia brand to lead the discussion; with other scenarios, Ear Hustle, 99% Invisible, and Criminal are the right brands to lead. So we already do a kind of “brand hierarchy,” and I think if we tackled the whole branding thing so early in the merger, we would be inviting things to grind to a halt. Much thanks to both Miller and Hoffman for the chat. The Public Radio Program Directors Association’s conference is happening this week. Radio Ambulante returns for a whopping 36-episode season September 11. Science Friday’s Undiscovered returns for its second season, its first as a co-production with WNYC Studios, also on September 11. Panoply has a slate of four over the next few months, including the returns of Broken Record and Family Ghosts. Gimlet has five new projects scheduled for fall/winter season, two fiction and three nonfiction. The first drops October 1, with the rest trickling out over the rest of the year. Audioboom is launching two original prductions over the next few months: another true-crime show called Dead Man Talking and one on Hollywood history called Truth vs. Hollywood. Lantigua Williams & Co. will roll out 70 Million, a project about criminal justice reform, on August 27. North Carolina radio station WFAE is launching a new music show, called Amplifier, sometime in September. CBC’s Love Me returns for its third season in late October, and its Other People’s Problems returns around October/November. James Kim’s delightful The Competition returns for a second season on September 2.
Business Insider and Stitcher looking for that How I Built This money: They’re co-producing Household Name, a podcast about the history of #brands. BuzzFeed News just launched What’s Left?, a new political podcast hosted by Sarah Leonard, executive editor at The Appeal. Up and Vanished returned for its second season this week. What, exactly, is Intercontinental Radio 1? My Favorite Murder’s mixed week. Last Wednesday, Karen Kilgariff and Georgia Hardstark, the duo behind the popular crime-themed comedy podcast, announced that they were launching a new network of shows in partnership with Stitcher called Exactly Right. According to Fast Company, plans for a imprint-style network had been in the works since the show moved Feral Audio to Midroll Media, which owns Stitcher, last September. That writeup briefly touched upon the show’s increasingly diversified business model, which mixes its core reliance on advertising revenues with live touring and merchandise sales. It was with merchandising where Kilgariff and Hardstark found themselves mired in some controversy later in the week. There’s a concise summary of what happened in this /r/myfavoritemurder subreddit thread, but in a nutshell (and this is purely secondhand, for now), it appears to be a mixture of two things: on the one hand, a shirt design in the podcast’s latest merchandise line that some considered insensitive to or culturally appropriative of Native Americans, and on the other hand, a mess in the podcast’s popular (over 200,000 members) Facebook group that was triggered by a racist post. Kilgariff and Hardstark has since removed the shirt design, apologized, and committed a $10,000 donation to the First Nations Development Institute — as well as suspend the Facebook group. Cadence13 strikes up an exclusive partnership with Blumhouse TV. That’s the television division of the highly active and enterprising Blumhouse Productions, the Jason Blum-founded shop responsible for movies like Get Out, The Purge, and the Insidious franchise. Currently, the partnership will take the shape of a fiction podcast called The Oval Office Tapes, created by the documentarian R.J. Cutler (of The War Room, the 1993 doc on Bill Clinton’s first presidential campaign) and written by former RealClearPolitics reporter Scott Conroy. The podcast is set to debut September 14. As part of the deal, Cadence13 will serve as the exclusive sales, distribution, and production partner for Blumhouse. Worth noting: This isn’t Blumhouse’s first dalliance with podcasting. In the summer of 2016, the company’s consumer-facing digital web property — which comes out of a joint partnership with Red Seat Ventures — launched Shock Waves, a weekly conversational show around the horror genre. The podcast is still going, though the Deadline writeup accompanying the launch indicated that it was supposed to be the beginning of a bigger podcast network. Didn’t seem to turn out that way, though. City of Brotherly Pods. SB Nation, Vox Media’s sports-focused editorial brand built on a sprawling network of team-specific blogs, has established a mini-podcast network entirely around the great city of Philadelphia. The network will consist of four podcast channels — Bleeding Green Nation (covering the NFL’s Eagles NFL), Broad Street Hockey (the NHL’s Flyers), The Good Phight (MLB’s Phillies), and Liberty Ballers (Dario Saric’s 76ers) — that, between them, will distribute twelve different shows. A resulting publishing schedule that, powered by twelve shows, will almost stretch across an entire week. It’s mildly interesting to observe this development in the wake of Solution Set’s analysis on Season Ticket, the Boston-focused daily sports podcast by WBUR and the Boston Globe. The bet with Season Ticket was on the possibility that the Boston sports fan diaspora, along with the national interest in Boston’s sports teams, would pull together a big enough listenership that could sustain the podcast. That gambit quite didn’t work out. The podcast ran for one season before calling it quits, citing production challenges and what turned out to be a lackluster audience size. For what it’s worth, I’m still hopeful on there being a feasible (and profitable) future for local podcasting — especially local sports podcasting. I still buy into the theory that sports fandom is a ravenous, vibrant, and inexhaustible driver of media consumption behavior across all forms, including local. The question, I think, is about building the right bucket. SB Nation declared it too early to discuss its thinking around advertising and strategy when I reached out last week. Fair enough. In the meantime, I think there are two useful comps to contextualize SB Nation’s Philadelphia experiment. The first is the popular independent Rights to Ricky Sanchez podcast. The second is the sprawling and rough-around-the-edges Locked On podcast network, which publishes broadcast radio-quality daily podcasts around individual professional sports franchises. 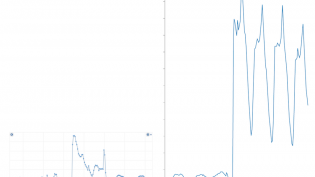 Important to clock for those in the podcast advertising side of the business: Veritone One announced last Monday that it has agreed to acquire Performance Bridge. In other words, a bigger media agency with significant interests in podcasting is moving to acquire a smaller media agency with significant interests in podcasting, reportedly bumping its U.S. podcast ad market share up to 25 percent. POSTED Aug. 21, 2018, 10:15 a.m.
Quah, Nicholas. 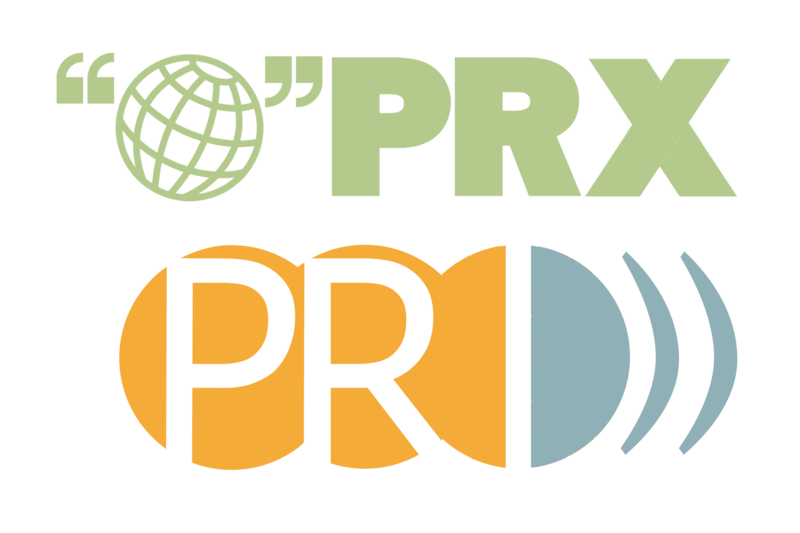 "Alphabet soup: Will the merger of PRX and PRI shift the competitive landscape of public radio (and podcasting)?." Nieman Journalism Lab. Nieman Foundation for Journalism at Harvard, 21 Aug. 2018. Web. 24 Apr. 2019. Quah, Nicholas. "Alphabet soup: Will the merger of PRX and PRI shift the competitive landscape of public radio (and podcasting)?." Nieman Journalism Lab. Last modified August 21, 2018. Accessed April 24, 2019. https://www.niemanlab.org/2018/08/alphabet-soup-will-the-merger-of-prx-and-pri-shift-the-competitive-landscape-of-public-radio-and-podcasting/. | title = Alphabet soup: Will the merger of PRX and PRI shift the competitive landscape of public radio (and podcasting)?